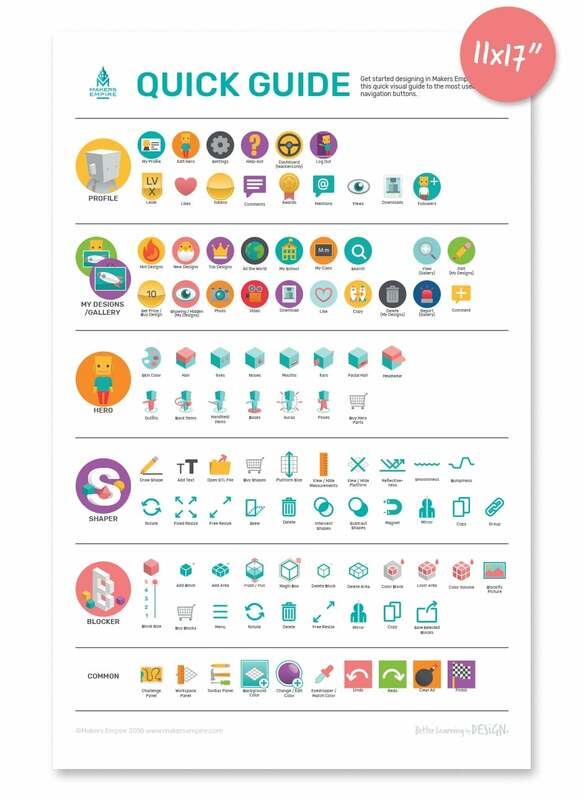 Get started designing in Makers Empire with this handy visual guide to the most used tools and navigation buttons. 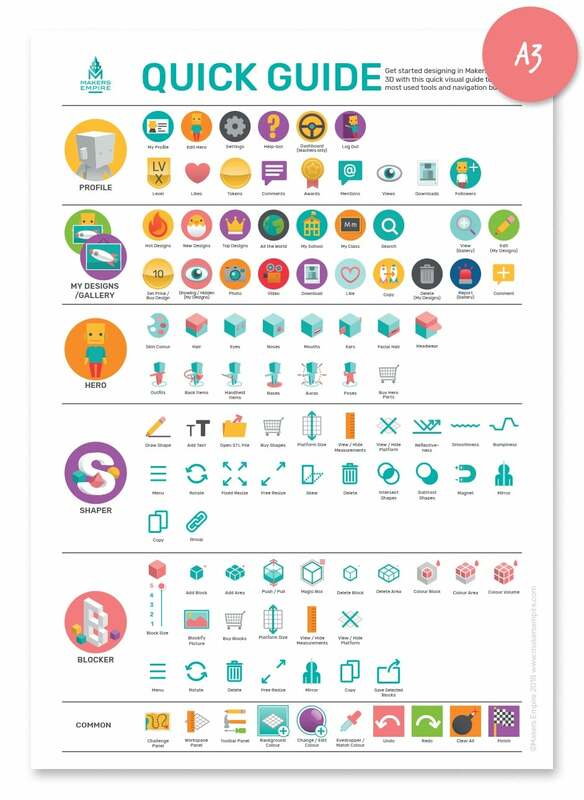 Download our FREE Quick Guide poster in your preferred size by clicking on the images below. You can then print out the poster using your home or school printer.